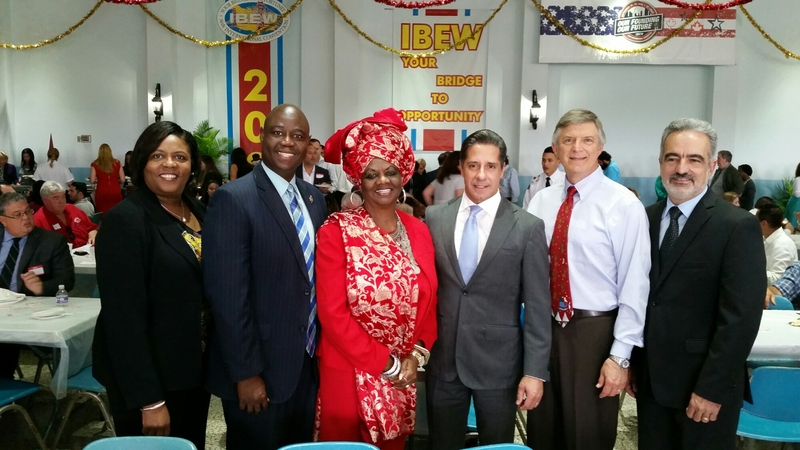 School Board Member Dr. Dorothy Bendross-Mindingall (D-2) celebrates the Holidays with Mrs. Valtena Brown, North Miami Vice Mayor Alix Desulme, Superintendent Alberto Carvalho, Chair Dr. Lawrence Feldman, Mr. Jaime Torrens, and a host of officials, labor leaders, and friends at the annual I.B.E.W. Local 349 Luncheon on December 5, 2016. We are grateful to I.B.E.W. Local 349 President Bill Riley, union leaders and members or your contined support and hard work for our community.